Breaking News. 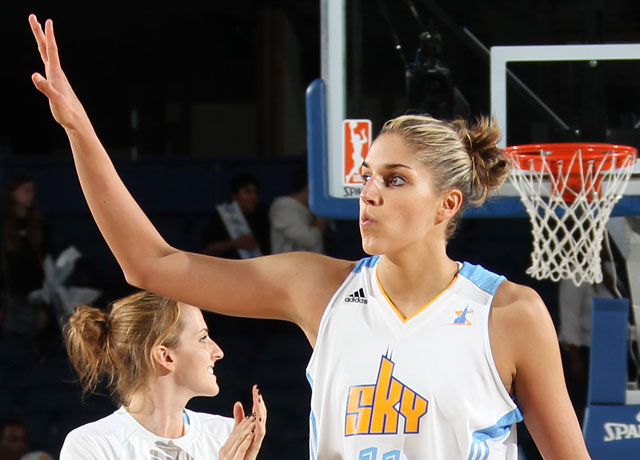 Elena Delle Donne is really good at what she does for a living. She led all scorers with a season-high 32 points and the Chicago Sky to a 94-86 win over the Minnesota Lynx in overtime. Three of those points were scored with 12 seconds left in the fourth quarter to tie the game and force overtime. Sylvia Fowles added 31, including six in the extra session. “Elena has proven time after time that she can knock them down,” Fowles stated. Delle Donne leads all rookies in scoring in the WNBA adding five points in the extra session and five blocks on the defensive end. The game did not disappoint including intensity and aggressiveness from the tip of the ball. The Sky rallied from a 12-point second-half deficit to lead late in the contest. “It was intense, they were excited to play us and we were excited to play them. It was a fun game,” Minnesota Lynx coach Cheryl Reeve stated. The teams were a combined 48-for-50 from the free throw line. Chicago missed two shots in overtime. The loss was the second straight for Minnesota (17-5), which had a 10-game winning streak snapped last Thursday against Washington. The East-leading Sky (15-7) are still in search of their first playoff berth in team history.